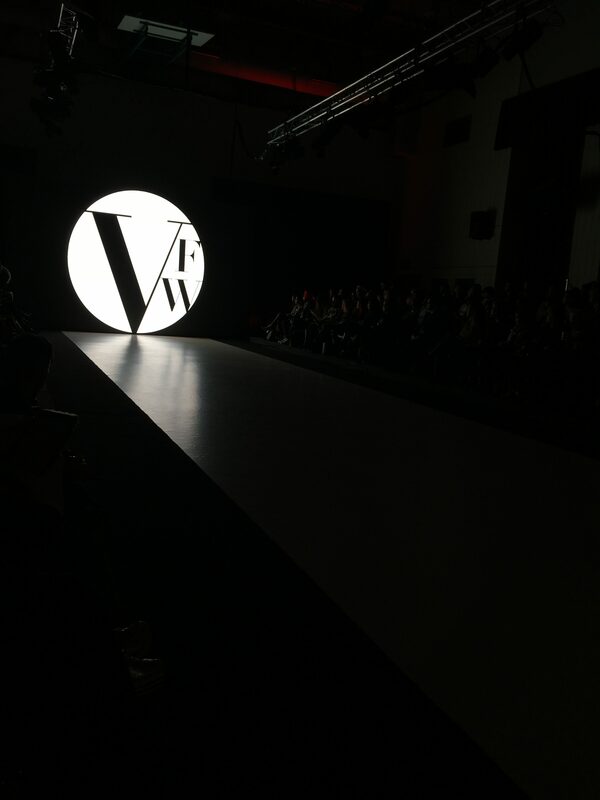 I’ve been attending fashion shows for ten years now, and it’s always exciting to see something I’ve never seen before. 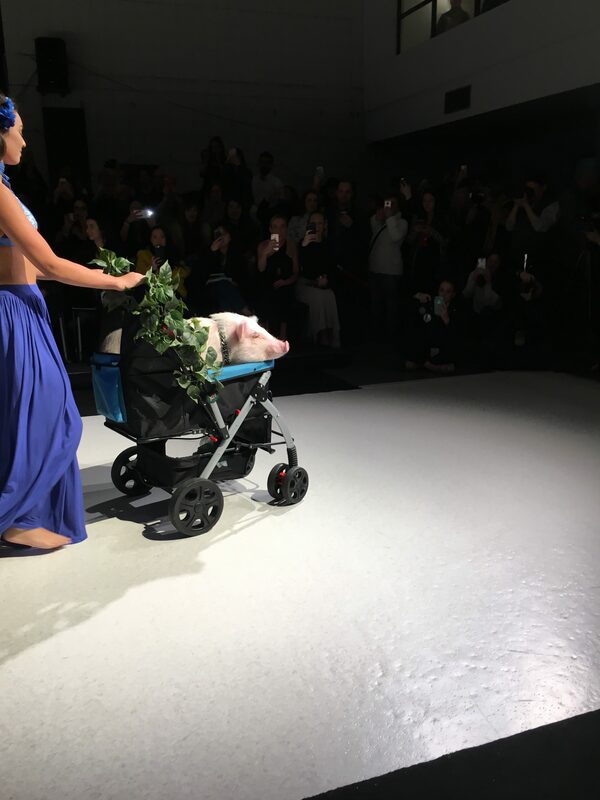 Well, Vancouver Fashion Week did that on Thursday, when Christopher the Pig opened one of the Bia Boro runway show. 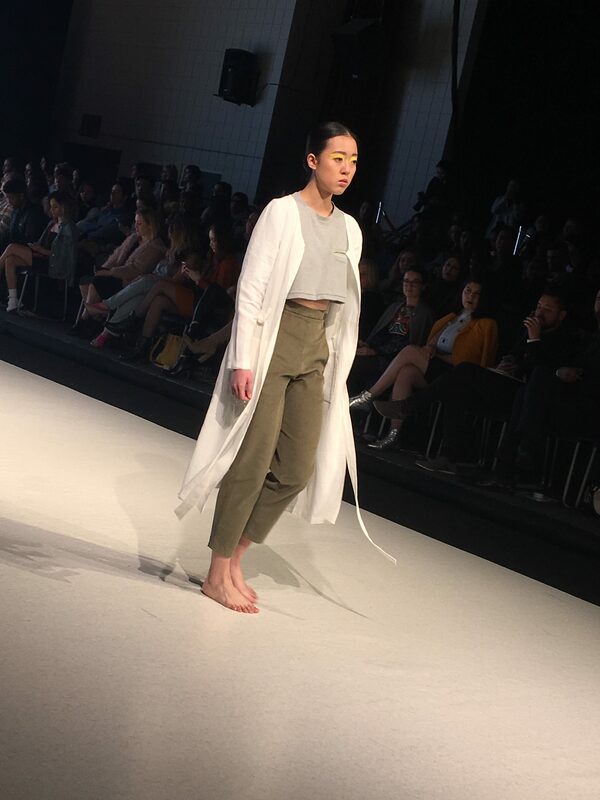 Besides “Some Pig” strutting his stuff, Thursday kicked off some fabulous fashions at Vancouver Fashion Week, beginning with five designers from La Salle University. 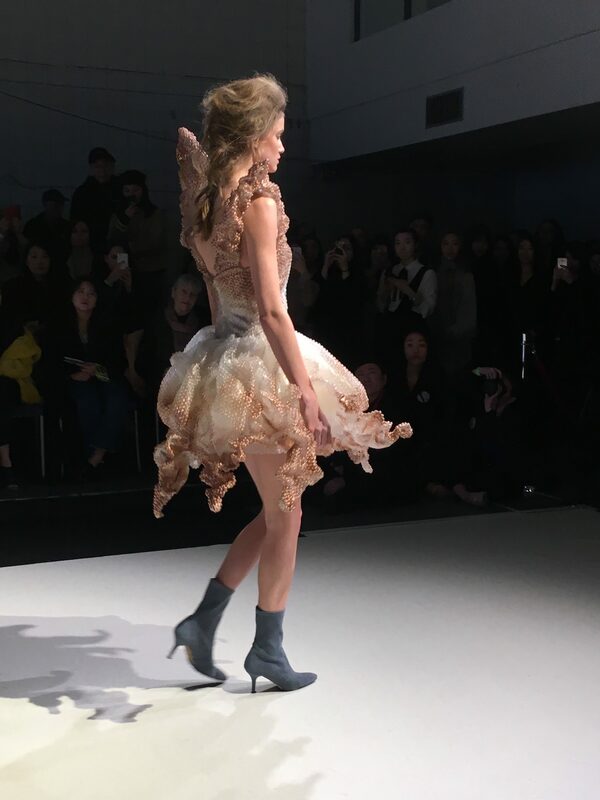 The overall focus for these collections was climate change, with a specific focus on “rethink, reuse, recycle.” Each designer showcased their own unique approach, but my favorite was Gurkirat Narang’s bubble wrap dress that reminded me of a jellyfish goddess. 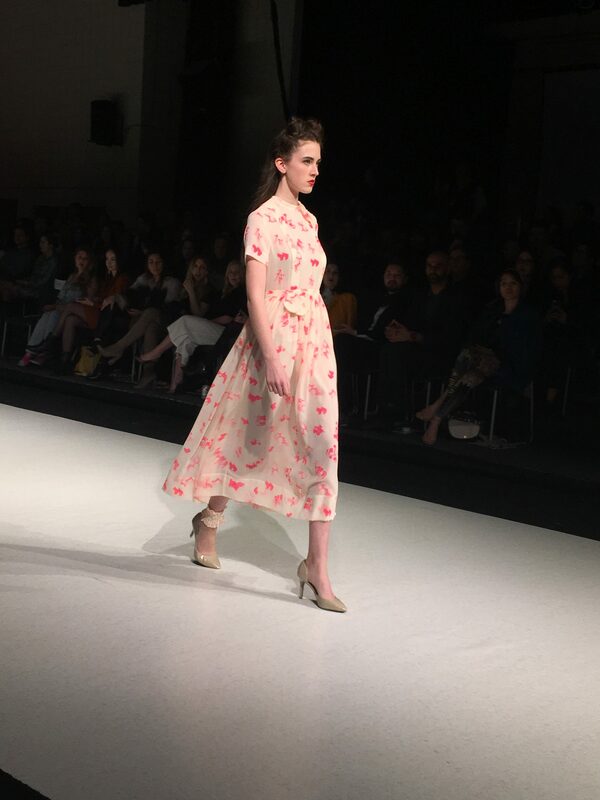 After the student designers, Chen x Chen gave us spring vibes with a pretty pastel collection filled with unique design elements. 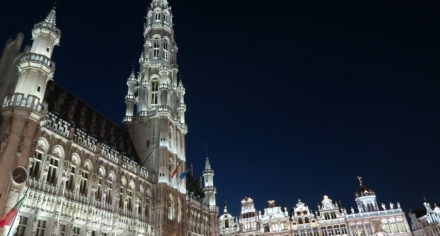 Then Wet Ink edged things up with pops of shimmering silver and see-through accents, including two clear plastic coats. My favorite was the sparking silver jumpsuit – I need that in size fat ASAP! 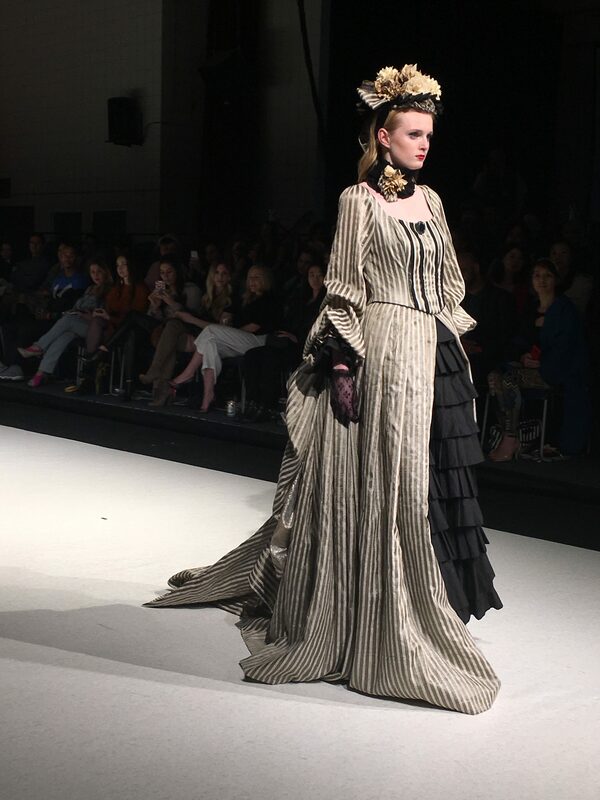 Designer Noelle Lemieux‘s collection was a good reminder that making an impression when leaving is just as important as making an impression when arriving. All her designs featured an unexpected back detail, like cutouts or chains. 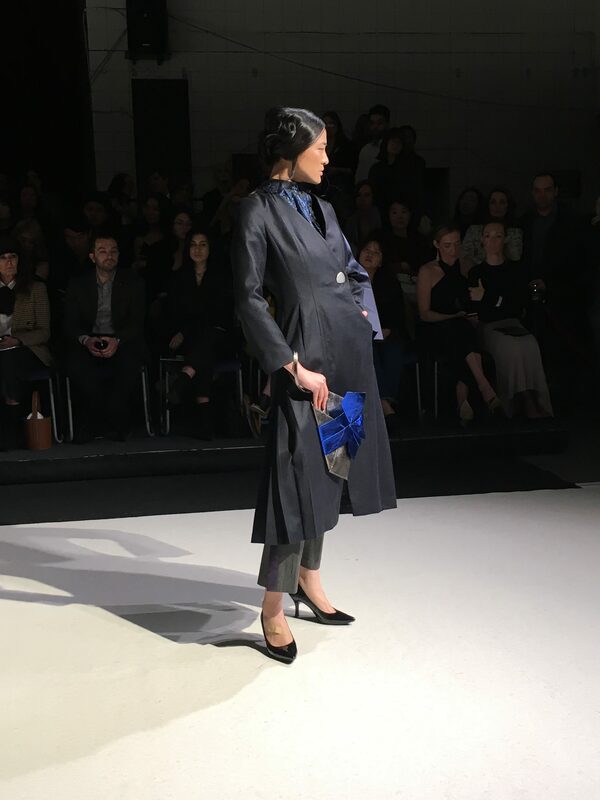 I had seen Melissa Yin‘s collection at NYFW as part of the Global Fashion Collective, so I was majorly impressed to see her show a whole new slew of designs only one month later. 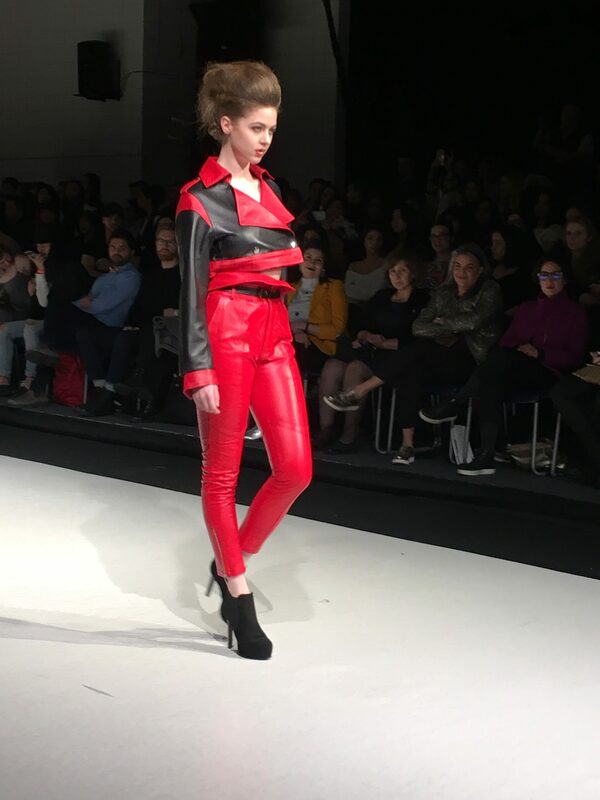 Every leather item looked custom-fit for each model; a rare thing to see with such a difficult fabric! Although Christopher the Pig totally stole the show, Bia Boro showcased bamboo intimates that looked supple and soft. I love how fresh this set is! 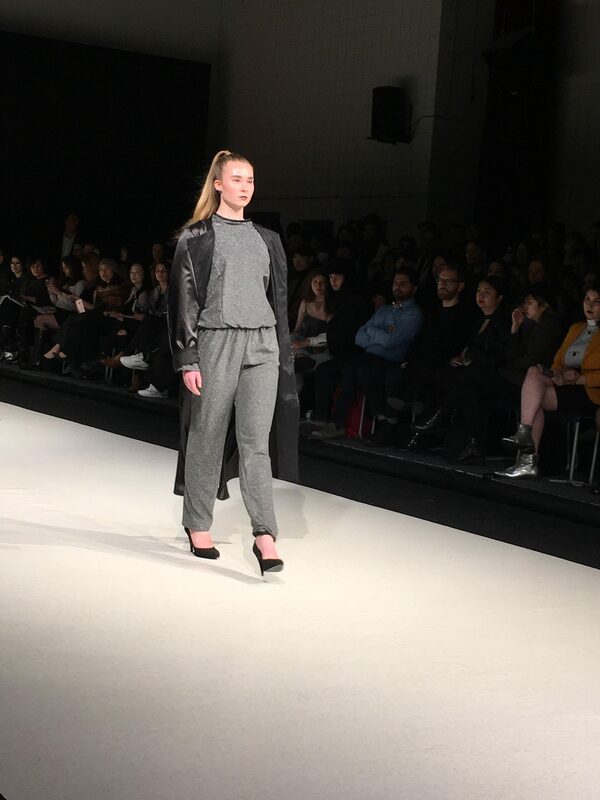 The House of AMZ showed us elegant feminine silhouettes in a stark black & white palette, with a few pops of purple sprinkled in. 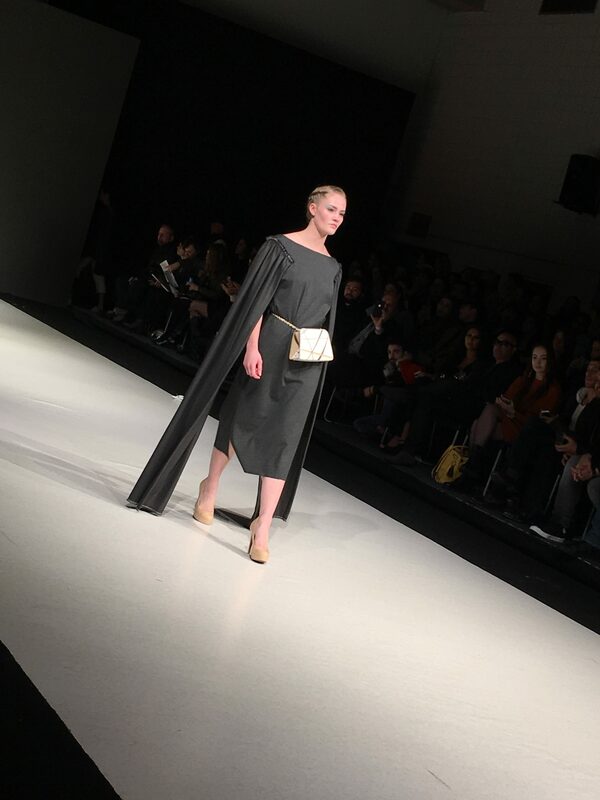 I loved this dramatic gown with floor-length sleeves accented by a playful fanny pack. 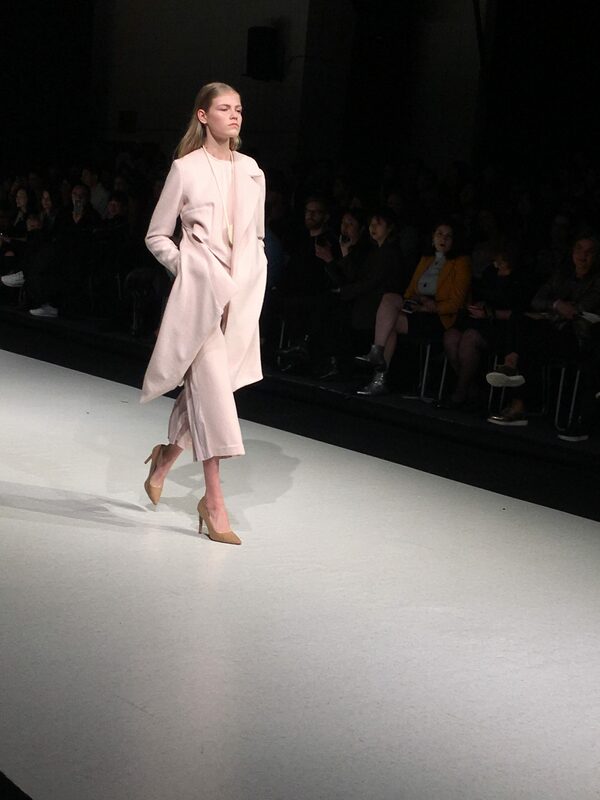 Minestilo’s collection focused on flowing silks and structured pleated pieces – a sartorial dichotomy that works for every woman. Chany Venturini gave glamour in spades, including this old school glam glittering gown, topped off with a plush fur stole. Bridal line Zuri made me want to say yes, yes, yes to the dress! P.S. to US brides, she just opened a location in Atlanta! 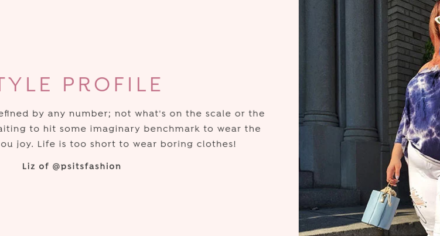 Brooklyn-based designer Miranda Watson’s collection was filled with minimalist-chic designs made of eco-friendly and recycled fabrics. 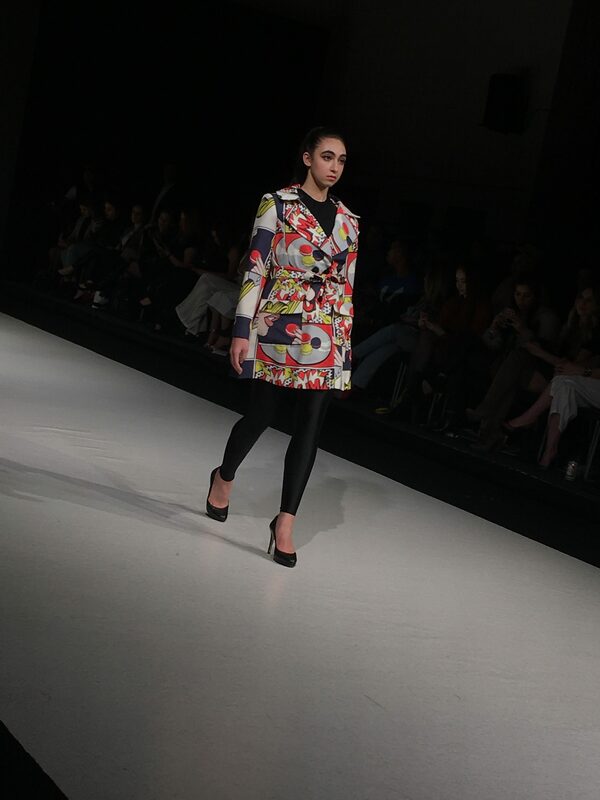 PYT gave us French girl chic with a Japanese twist. I loved this pretty pink piece! 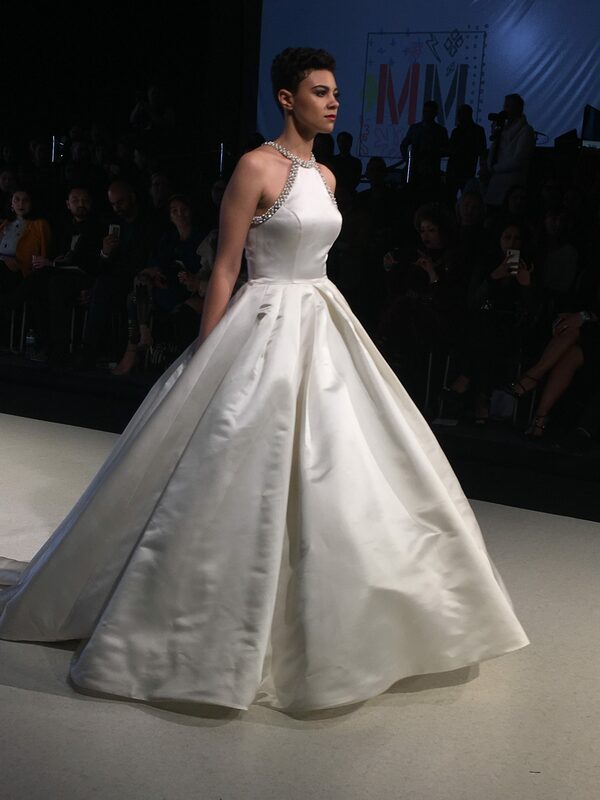 Queenie Zoe by Bomin Kim showcased elegant gowns that looked ripped from the pages of your favorite Jane Eyre novel. Most were period costumes, but I’d totally wear the trench coat gown right now! 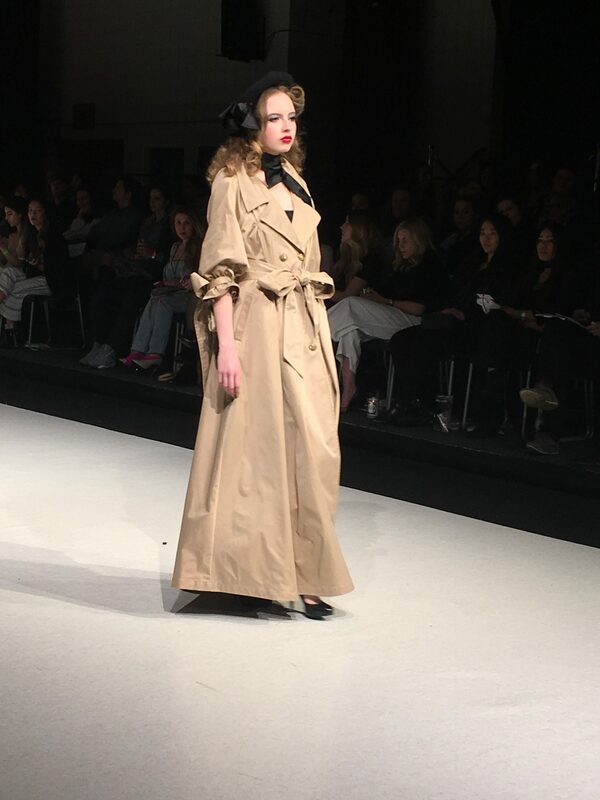 Pariah closed the show with a pop art inspired collection, filled with comic strip panels exclaiming “POW!” I loved the trench coats she showcased; a perfect way to brighten up any rainy day!